Apple is known for their innovation in their camera app to take astonishing pictures, well they started significantly improving their camera with the inception of iPhone 7. Now, with the new releases of both iPhone X and iPhone 8 and iPhone 8 Plus, naturally they went a step ahead further with their camera capabilities for photography. But what about the iPhone 8, 8Plus and X video capabilities? Well, Apple exclaimed that you can shoot a video at 4K only with the iPhone X 256 GB version. Though you can technically record 4k on iPhone 8 Plus, 8 and iPhone X also, the 64 GB version of iPhone X, as this feature can be enabled. 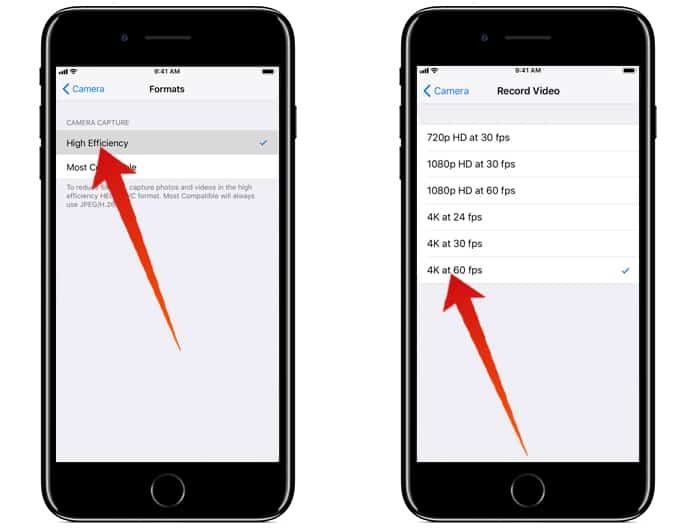 Keep in mind that the default recording aspect ratio set for the iPhone is 1080p at 30 fps (frame per second). However, you can change it on the latest version of the iPhone by following these simple steps below. Step 1: Go to Settings app from your iPhone. Step 2: Then, tap on the Camera app, to access its Settings panel. Step 3: After that, tap on Formats. Step 4: From here, you have to select the option High Efficiency which will turn the H.265 codec ON for video and HEIF is for the images. Step 5: Now, head back to the Camera Settings pane, and then tap on the Record Video option. Step 6: Here, you can choose the ‘4K at 60 fps’ option from the menu list. Step 7: Tap the home button, to get to the home screen of your iPhone. 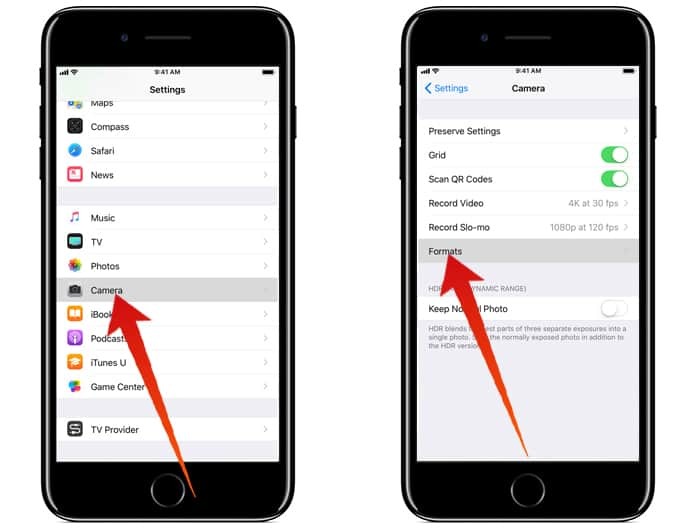 Step 8: Launch the Camera app, and then select the video mode. Step 9: Finally, now you can tap on the Record button to start the video recording, alternative you can use the press Volume Buttons to start recording and stop as well. 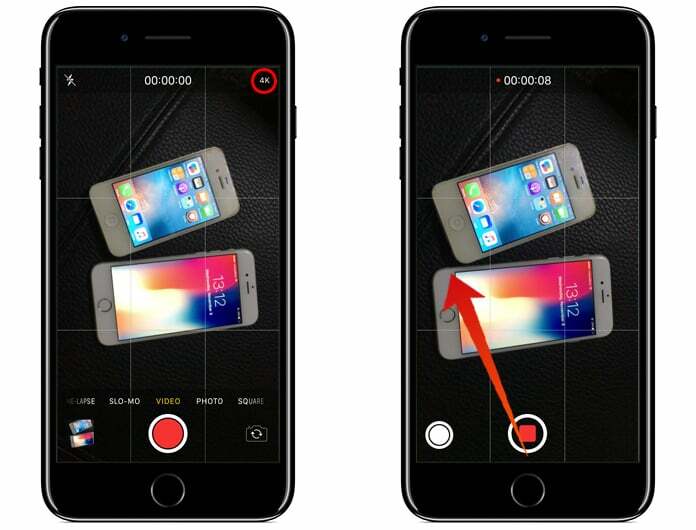 That’s it all, you have just now completed all the steps to record 4K on iPhone 8 Plus, 8 and iPhone X. You can be assure that the recording is encoded with H.265 codec which is the 4K encoding at 60 fps. Also the 4K video file is going to be saved in the .mov file format in your Photos app on your iOS device. 4K video—60fps, a minute H.265 encoded video will acquire storage space of 400 MB. 4K video—30fps, a minute H.264 encoded video will acquire storage space of 350 MB. Recording 4K video are now the next best things whether albeit is you daily vlogging, vacation video and video projects. 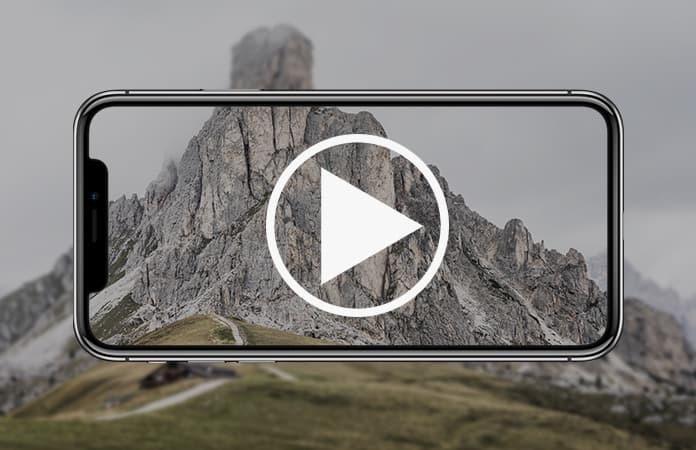 iPhone X 4K let you achieve this great quality with much crisper and sharper clarity. Let us know in the comments below if are looking forward to record 4K on iPhone 8, 8 Plus or iPhone X? Previous articleCydia Impactor Not Working in iOS 11—What Are the Alternatives?